Short answer: because we can and we want to! We travel because we believe that we should all experience places around the world, meet people and be exposed to different cultures. There are so many opportunities out there! When our children are asked, “Where is home?”, they will answer with, “Wherever my family is.” When asked where they are from, three will answer they were born in New Zealand and the fourth Australia. I wrote about ‘home’ and what that means to us in another post. We have four wonderful children and we want them to be open to opportunities that cross their paths. 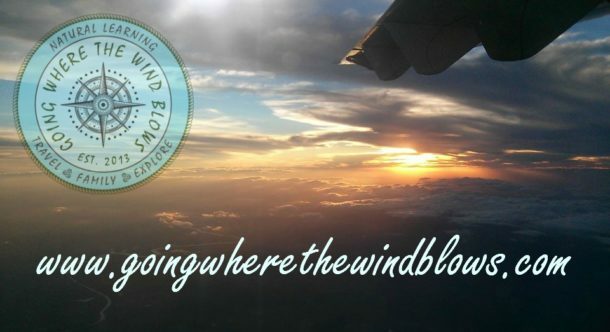 Exploring and adventure, taking chances and being open to new experiences are why we travel. We talk more about ‘home’ on another page – click text link to visit. Why do we home educate? There are numerous reasons why we have chosen the path of being responsible for our children’s education. Our main reason is freedom to allow our children to grow and develop at a pace that suits them and to follow their interests and not a structured curriculum decided by someone else. Firstly, I have first hand experience of the stresses and anxiety caused by the UK and NZ education systems. The pressure to perform on student and teachers causes so many problems. Bullying remains unchecked despite all the best efforts of dedicated teachers and various programs. Second reason is the numerous food and environmental allergies and intolerances our whole family seem to be afflicted with: peanuts (anaphylaxis), dustmites, cats, pollen, moulds, perfumes are just a few! Again you can read more about travelling with allergies if you wish to. Third reason was an Aspergers diagnosis in our eldest when he was just 3 years old. Turns out his diagnosis was a lightbulb moment for us as we realised we were very much like him as were a few members in both our families. A weight was lifted from our shoulders as we could now develop strategies to help him and us. We did explore some early childhood options. A local kindergarten could not cope with our eldest and once when I went to collect him they would have no idea where he was. I found him hiding in a tree and never took him back again – goodness knows how long he had been there. Next try at education was a newly opened Montessori pre-school. Both boys were happier here but already the eldest was subjected to minor bullying by just a few individuals. This would upset Jack and cause great anxiety as he couldn’t understand why they would want to be mean to him. We moved again to rent a house next to a small rural school with only 10 pupils of different ages, thinking this would be a good fit. The community was close knit and this really helped in the face of the ongoing aftershocks following the September 4th 2010 and February 2011 earthquakes. We headed off to Australia to follow job opportunities. We had the first of 3 major garage sales to clear years and years of accumulated stuff! We eventually sold everything! We made the monumental decision to home educate. First we tried distance education, you pay for this service and receive lessons online. Ended up being disastrous. We met a fabulous group of home educators in the area and fell head first in to natural learning and doing our own thing. We did over-schedule classes in the early days e.g. gymnastics, dance, swimming, art and craft etc, but eventually calmed down and realised less was more. Worldschoolers, natural learners, whatever term you choose – I don’t like labels anyhow! Our education philosophy is about freedom. We have the freedom to allow our children to follow their passions and interests unconstrained by the confines of a curriculum or set lessons. We will support them in whatever path they choose. If they want to do exams (I doubt it) then we will facilitate that option. If they want to go to University or Technical colleges then we will assist with that choice too. Presently it’s about enjoying the time we have with them now. The future is not guaranteed, who knows what challenges lie ahead? We’ll meet them together as a family. Thus far we have lived through large earthquakes and their numerous aftershocks in New Zealand, nasty car accidents, been evacuated for flooding and faced a category 5 tropical cyclone in Australia. We have our health and the finances to explore and travel, so that is what we will do. Life is an adventure, so live it! 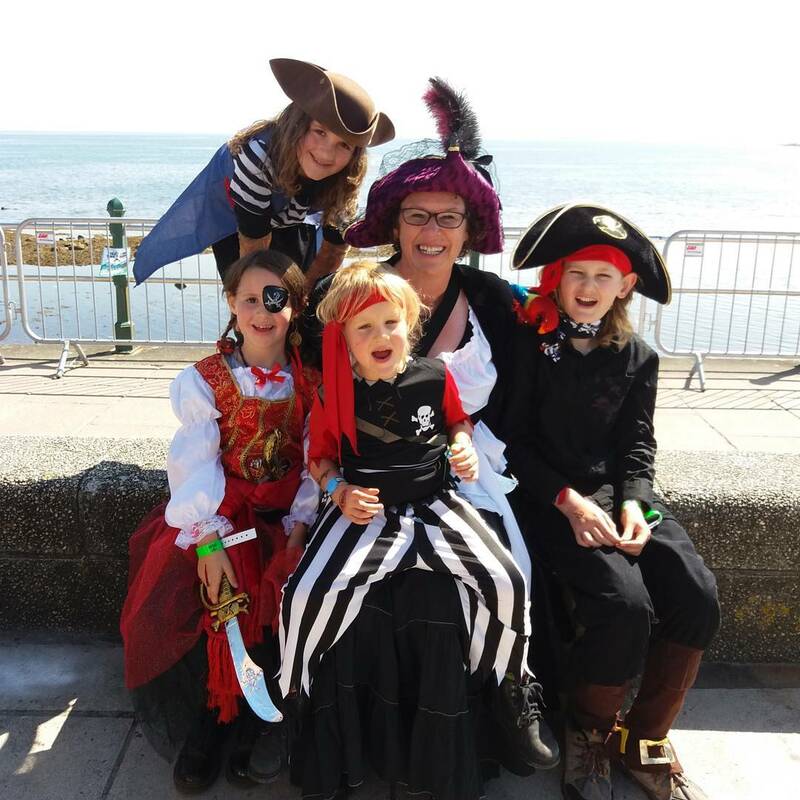 Most Pirates in one place (Penzance Promenade, Cornwall) world record attempt – we were there!